Several questions may come to your mind when you try to reveal true affectionate feelings and propose a girl. It is a daunting task for every guy to directly ask a girl to be his girlfriend. Well, do not panic when you have a crush on a lady. Take a deep breath and instead of freaking out or flirting; try to act polite and gentle to woo her. Shakespeare articulated a beautiful line, “True love cannot be found where it does not exist, nor it can be hidden where it does.” Try to get involved in a relationship with honesty. You may have several questions in your mind, how to ask a girl to be your girlfriend. Do not worry and quickly adopt a few simple ways to propose a girl for starting a new love relationship. How to Ask a Girl to be Your Girlfriend? Every girl wants her soul mate as the best friend with whom everything can be shared. Therefore, do not immediately approach a girl to be your girlfriend. First, try to know her, and make her comfortable with you. Attempt to learn small things about her such as her favourite foods, interesting subjects, best dress & accessories, favourite movies, places, and hobbies. If you succeed in being her best friend then you have the right to be a good boyfriend by proposing her. Be always with her in bright and dark phases of life. If you are a true friend then don’t make her feel alone when she needs you. Girls always get happy with little things such as a small treat, romantic dates, an evening walk with her and quality moments that you give her. Pay attention to her when she requires and helps her share casual and serious things with you. If you are thinking, how to propose a girl then plan it in a wise way. Do not give the proposal in a text message or by phone. You may not get a clear answer or may miss the expression of your love interest. Direct interaction is far better than sharing feelings via text or telephonic conversation. You can get a clear answer and understand the expression while talking face to face. Whenever you want to get engaged in a love relationship your mind clings with a question that how to ask a girl to be your girlfriend but before you ask her anything; it’s your priority to share the feelings you have for your dream girl. Before listening to anything, try to convince her with your words and actions. Make her feel the special and most wanted person in your life. Confess in front of her that you cannot live without her in any situation. Make her sure that you will never leave her at any cost. She may get attracted to you if she understands your true love and gesture of affection. As you adore beautiful girls, you also need to be charismatic and attractive to appeal to a girl towards you. Not only by looks but your habits and hobbies also sometimes fascinate a girl. For example, if you have an interest in singing, playing the guitar, dancing, writing, and painting then show your talent to the girl who you want to convince to become your girlfriend. Generally, girls do not notice such things when they understand the true feelings of their partner, but showing your charms may appeal to her attention more prominently. Therefore, when your mind reflects with an idea to make a girl your girlfriend, try to act smarter and win the heart of your lady love. Love relationship and commitments may sound simple, but it is not a simple sum of the task to woo your love interest easily. You need to put hard efforts and learn the art to win the heart of your dream girl. Patience is the former step to get a positive response from your love interest. An impatient and impulsive decision may ruin all your plans. So, be firm, and wait for sometimes while convincing a lady to be a part of your life. Overnight success in a relationship is a fairytale nowadays because it is hard to trust people in today’s generation. So, you need to put hard effort, passion and dedication to win the heart of your soulmate, and make her your girlfriend. The second step is to plan a special date for your dream girl. Planning surprise dates and romantic dinners are the best way to share your feelings with her. Girls love surprises and special moments spent with their loved ones. If you are finding a perfect place and time to propose your lady love then a dinner date is a perfect time, and a romantic restaurant is an ideal place to make your special moments cherished with love, care, surprise gifts, and romantic conversation. Order the favorite dishes of your lady love, provide her date with special gifts, flowers and nice decoration. Few beautiful and special care provided by you can nourish her present and make the moment memorable for the future. This is the best day when you can share your feelings and ask her to be your girlfriend or soulmate forever. Tell her how crazy and passionate you are for her. Your passionate action and lovey words can steal her heart and make the love interest yours’ forever. When a girl becomes a part of your life, she knows that one day she has to leave her house and family and come to you forever. This may sound simple but ask a girl how tough it is! Every girl wants her husband or boyfriend to tender respect to her parents. So, take care of her family members. This attitude may help create a special position in the heart of your soulmate and her family. She will give her whole life for you and her family if you give little attention and fulfill your responsibilities to her parents. It may be strange but it’s the truth that girls love little care and pamper from her boyfriend. If you can take care of your friends and family members then why not be a little bit caring to the girl whom you love a lot. Show little care and responsibility towards her when she is ill or when she morally needs your help. Pamper her by taking her to the doctor when she is sick. Hold her hands on the dark days of her life. Always try to show her that you are with her whenever she needs you. Your little attention towards her can make you the most important and lovely person in her life. The word ‘girlfriend’ sounds simple and casual, but your feelings for the girl should not be just a casual connection if you are really serious about her. Thus, it is your prime duty to make her feel special. Your lady love may get happy with a few special moments spent with you and accept your proposal. 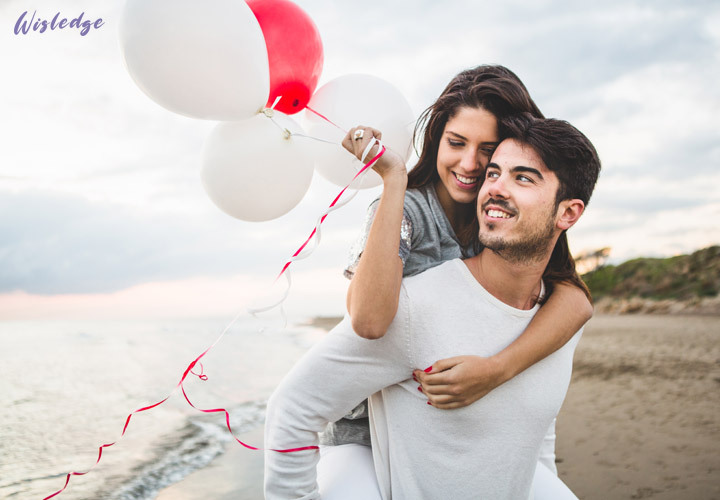 Try to involve her in the special events and share important moments of your life to her such as birthday, friends party, parent’s anniversary, and other occasions. Introduce her with your good friends so that she feels a special part of your life. A lady just wants your love, special attention and little respect in your heart for her. You should not directly ask a girl to be your lover, your actions and behavior towards her can give a clear sign that how much you love her. The most important duty of both partners is to share their problems and difficulties with each other because sharing things makes your relationship strong and clear. Make your love life tension-free by not hiding small things from your girlfriend. She is not only a lover but your true future partner and friend. So, revealing your feelings for her can make her feel special. This is applicable to both the partner. Clarity in a relation shows honesty and make your love life stronger. Your lady love may be your first sight love or good friend from the first day you met her. From the beginning, you may be thinking to ask her to be your girlfriend. In the process to fulfill your dreams, you may have learned many things about her likes and dislikes. Now it is your responsibility to remember every little thing about her like her favorite color, movie, dress, destination, actor, and singer. You must also remember the memorable events like your first date with her, your love anniversary and a few other things. Cherishing the special moments, and recalling the reminiscence in your life with her can make your love relationship stronger. You can rise together and fall together with several situations but never leave her hand in a difficult period of life. Many boys have a tendency to rush things faster. They try to convince their girlfriends to become intimate with them as fast as possible. When you are anxious that how to ask a girl to be your girlfriend then don’t try to be spoil spirit by rushing into the immediate action of intimacy with the lady love. Being intimate with the girl is not a wrong thing but you should not do it forcefully and abruptly. Never make her feel uncomfortable with the wrong attitude, act in a responsible way. Let the things get done with its flow. Romance or love-making is a special moment in your life, so never make it awkward by planning it at the beginning of the relation. You must let the relationship get matured first then plan or make love in an unplanned way with the positive sigh of your female partner. Don’t try to woo your lady love by telling cheesy lines, impressive words and doing false promises. Always remember the line, “A lie has no legs”. So, always try to be honest and true with your love interest. Suppose you had any past relationship in your life or you do not belong from a rich culture family, reveal the truth to your love interest without hiding. If she truly likes you then she will understand your problems and will respect your values. Girls are often impressed with truthful and honest guys. True love always moves in the long run when the beginning of your relationship is flawless. It is important to win the trust of a girl and to keep that for a lifetime. Trust and sincerity are the base of every love relationship. Thus, before you get involved with a romantic relationship with a love proposal; always be determined and dedicated to your girlfriend. Wordsworth articulated a beautiful phrase on love, “Come grow old with me. The best is yet to be.” As per the quotes, if you really want to grow old with your soulmate then be passionate and dedicated, so that adverse things cannot create any turbulence in your life. For every relationship, compatibility between each other, understanding, honesty, trust, love, care and passion are the important elements that tie up a bond between two people. Your relationship is a priority in your life. So, think by your mind, but follow your heart when you want your lady love in your life. Adopting the aforesaid suggested proposal ideas may help you ask a girl to be your girlfriend. Follow your heart but think wise from your mind. Take time and gel up with smart ideas to share your feelings. Do not get upset if you fail to propose your girlfriend at beginning. Cherish your relationship with special moments. Share care towards each other.